Our automotive experts are fully trained and qualified to perform logbook service in accordance with the manufacturer’s guidelines. We use only genuine parts to maintain your new car’s statutory warranty and its integrity. After completing the service, we will get the logbook stamped as a record of regular maintenance. To obtain a roadworthy certificate, your vehicle needs to pass through a vehicle inspection test performed by a licensed tester. 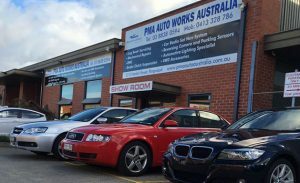 When you bring in your car to PMA Auto Works, we will inspect your vehicle and perform necessary repairs and upgrades, ensuring that it passes through the RWC inspection test the first time around. Whether you need a new set of tyres and wheels for your vehicle or just want to repair the existing ones, we can help. 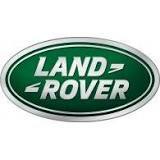 We stock and supply tyres and wheels from leading manufacturers at competitive prices. In addition, we also help you with wheel alignment & balancing, tyre rotation, tyre fitting, flat tyre repairs and much more. From car batteries and starter motors to alternators and wiring problems, our fully trained mechanics can diagnose and rectify all auto electrical faults. We also help you with fitting and installing vehicle electronics & electrical systems such as Bluetooth, entertainment systems, tracking devices, parking sensors, LED door lights and so forth as per the manufacturer instructions. We have the very latest equipment and qualified staff to carry out car air conditioning service and repairs. Whether it is a re-gas or any problem with compressor, condenser or hoses, our expert team can diagnose the car aircon regas issue and recommend an effective solution, ensuring that you will always have comfortable rides. With immense experience in the automotive industry, we have developed a great reputation for providing car audio installation services. While we stock and fit subwoofers, amplifiers, speakers and stereos, we specialise in custom installation, meeting your exact infotainment needs. We specialise in supplying and carrying out car reversing camera installation for all vehicles. Our reversing systems give you far superior visibility, providing ultimate protection for you and your vehicle while reversing out of the driveway. Don’t delay! Call us at (03) 8838 0594 and schedule a service today. Let’s diagnose the problem and fix it right away for you!